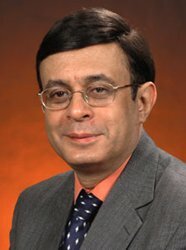 Amin Muhammad Gadit is a Clinical Professor of Psychiatry at Memorial University of Newfoundland, Faculty of Medicine. October 2009, he writes a paper with the title “Terrorism and Mental Health: The issue of Psychological Fragility” published in Journal of Pakistan Medical Association. In the paper he talks about psychological long term effects that result from terrorist activities on civilians, including behavioral problems and post-traumatic stress. He also notes that with the introduction of remote influencing technology, and the new weapon systems, it might be challenging for a psychiatrist to tell the difference between real mental and physical problems and induced ones, asking one crucial question: Are we prepared for this challenge? “The matters in terms of violence are advancing with the passage of time that may possibly bring in more serious issues related to both physical as well as mental health. Through this form of terrorism, it is possible to persuade subjects that their mind is being read; their intellectual property is being plundered and can even motivate suicide or murder. Pulsed Energy Projectiles (PEPs) are another form of weaponry that is used to paralyze a victim with pain. According to Peter Philips, a scientist from USA, circumstances may soon arrive in which anti-war or human right protestors suddenly feel a burning sensation akin to touching a hot skillet over their entire body. Simultaneously they may hear terrifying nauseating screaming, which while not produced externally, fills their brains with overwhelming disruption. This new invention is dreadful addition to the armamentarium of weapons of abuse and torture. Manifestations of the effects of these occult weapons can mimic mental ill health and add further to the misery of the victims.